Summer’s here – time to get your linen on! We’ve got new store samples! An ingenious combination of a square and two rectangles and, voila, a cool and breezy summer top. The colour blocks are knitted in stockinette and are seamed together sideways. A simple 3-needle bind off down the front adds further interest. A great pattern to experiment with colour! 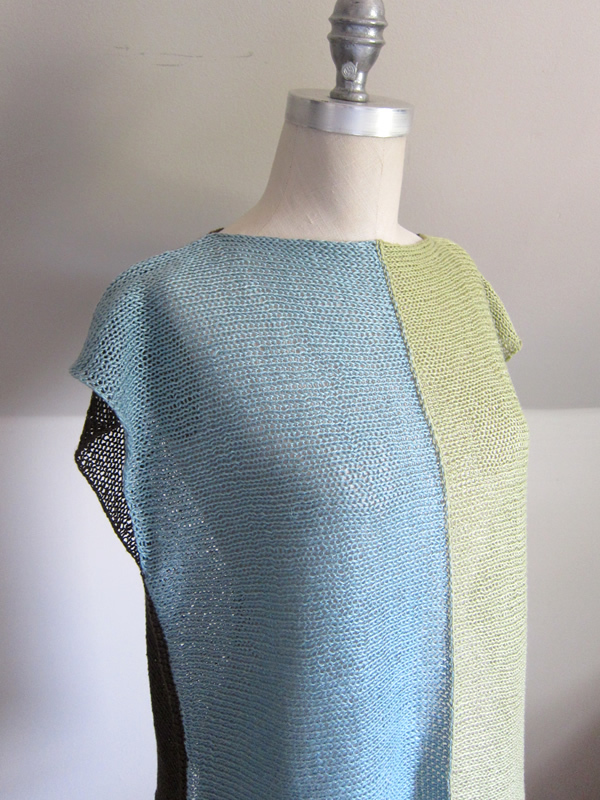 Knit with Louet Euroflax (100% wet-spun linen). Quince and Co’s Sparrow (100% linen) is a perfect match for the casual styling of this nautical-inspired summer sweater. The airy gauge and beautiful drape and sheen make this a lovely wear-everywhere garment. Knit seamlessly from the top-down, Westbourne makes a relatively quick and very satisfying project.